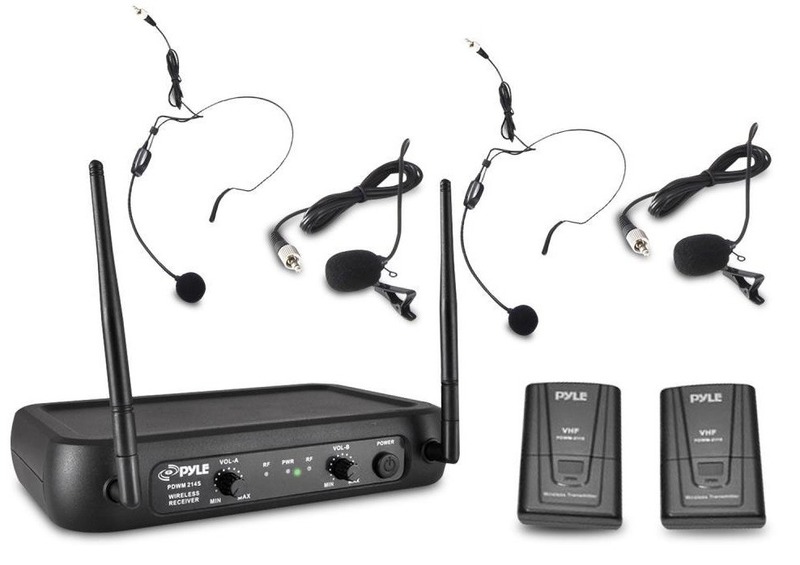 This is a perfect set if you are hosting an event that you need 2 wireless clip-on or headset microphones. They are normally used when the presenter needs to have free hands. The set includes two body-pack transmitters with two headsets or two clip-on/ lavalier microphones. They are simple to setup and provide excellent sound reproduction.